Please fill the form below and we will contact you with a quote to suit your needs. You can get emails for your new domain by ordering a hosting plan with us. 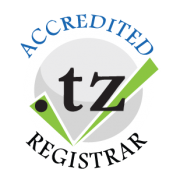 Secure your perfect web address and professionalize your business with personalized email addresses. All our web hosting plans come with email addresses, auto-responders, email forwarders, FTP accounts, MySQL databases. Your email addresses work with Outlook, Apple Mail, iPhone, Android, BlackBerry and more as well as web based email access.